Game modification | Ets2 mods, Farming simulator mods. Miller Light Long Trailer with Beer as cargo. 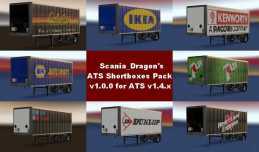 Staples trailers (long and short) for ATS. This one includes appropriate cargoes.